Prelude Records was started by Marvin Schlachter, who was once A&R vice president at Scepter/Wand Records in their successful Dionne Warwick/BJ Thomas period. Marvin had also been working for other influential record companies like Janus Records, Chess and the US division of PYE Records for ATV. He started Prelude in 1976... after PYE decided to close its US operations. The label was operated from an office on 57th Street - it was a small company with a staff of maybe 10 persons. The company was one of the leading Disco/ Dance music labels for almost 10 years, before Marvin decided to close down the label. In 1977 Marvin Schlachter, and his partner Stanley Hoffman, started a label that would become one of the hottest and best for Disco (and later called Dance) music, for almost a decade. The label they called Prelude Records. Marvin was the driving force within the new company, but he was no newcomer in the music business, he had been around for a long time and had been working for many famous labels like Chess, Scepter/Wand and others. So, starting Prelude - Was this something he wanted to do, like a dream of his, or did it more of less just happen? As he tells me himself; "No - it wasn't a dream and it didn't just happen. I had been in this business a long time. I had owned another record company prior to that - Scepter/Wand - and I was president of Chess Records for several years. After that I was asked to take over PYE Records, a UK label who started a label here in the States. I was asked to take it over after they had started it. It didn't last long because they refused to fund it and when that happened, when I told them that if they don't want to fund it properly - they should close it down. [Which they did.] I had a contract with them and in order to satisfy the contract and so on, there was some artists that I had or was in the process of signing and others I was in the process of purchasing or leasing and some other things. So, when I left PYE Records I could use that as a foundation to start Prelude Records." 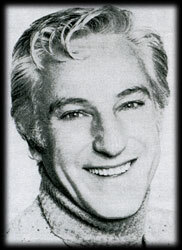 Discoguy; Another guy who used to work at Scepter/Wand - Mel Cheren - he went on to start another Disco label - WestEnd Records. I guess you both know him and have worked with him? "I never worked with Mel Cheren, but I know him. Mel Cheren I think worked at Scepter Records after I had sold my interest in Scepter Records. He was not there when I was there. Or - I was not there when he was there! Hahaha! [Both laughing] Either way... However you wanna look at it!" Haha! OK, Because I think both you and Mel, you managed to start two of the most influential record labels of the Disco era. Can you think of any special reason why you two guys, with kind of the same background from Scepter/Wand and everything, managed to start these two leading companies? "Well, I can't speak for Mel Cheren and why and how he got involved in all of that, but you have obviously spoken to him. My involvement with Scepter Records was from the very beginning having started it with Florence Greenberg and the music at that time was certainly different than it was when the Disco era came about. The reason, quite frankly that I got involved... Well, I went from there to, you know, starting a company for Chess, this other company - Janus Records - and then merged it into Chess and run Chess for a few years. And in the cause of doing all of that and my involvement in the music business, I saw this new - like a merging from what we would call the underground - and I thought it was quite fascinating. It certainly was an area of the music industry that the major record companies, quite frankly - didn't believe in and didn't know anything about and couldn't care less about. So, being a small independent individual and so on, I thought this was a great entree for a new company who in terms of myself had some involvement with dance music if you wanna call it that. And also getting involved in an area of the business the majors were ignoring and didn't know anything about and thought was just a passing fancy and would not be worth even getting involved in. So, that's basically the prime reason for directing my efforts to that particular market." I think that was a great entree and you really proved the major companies wrong there! "Well, I think independent labels and independent producers are the breathing ground and the creative areas for the major record companies. I think major record companies for the most parts are tremendous marketing machines and that they obviously depend upon the smaller labels to find and start new directions in music. Find new artists, find new styles... and when those things happen the majors turn around and either solicitous the individual to produce records for them, try to distribute the label, buy the label and so on, and so on... So, the independent music scene is always very very healthy and always very very indefinable." Do you remember which was the first act signed to the label? I think the first 12" you put out might have been the Patrick Adams' - Broadway "X-15". "Eh, you very well might be right. I don't remember. We had licensed a couple of things from Germany - I think it was a group called Jumbo or something like that - it's very difficult for me to remember those acts." "Exactly. It's quite possible, you might be right. Again - I don't remember exactly what the first record was. I can't tell you that." 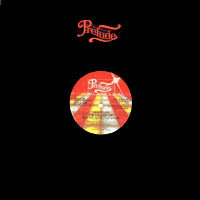 Prelude is one of my absolute favorite Disco labels, with all the acts like Musique, Martin Circus, Saturday Night Band, Inner Life, D-Train and others... Have you got any comments on any of the Prelude acts? Like some memories or comments regarding them? "Well, a lot of the artists that we signed were obviously also licensed from Europe, from various producers who were based in either Italy or some in France and a couple in Germany and so on and so forth. I think for the most part, that kind of music was really the creation of the producer. Much more so than the actual artists themselves. I think the producer was the creative talent there and in most of them, but not in every, the artist was treated as an instrument. And quite frankly, there was no artist named Musique, when Patrick Adams produced that for us. It was only after the record started to sell very well that we created a group. So again, these were just session singers that were hired to do the vocals and then ultimately we turned around and created a group and there was obviously a group called Musique. This young lady France Joli certainly was an interesting artists, she was a very very young girl who was produced by this guy, Tony Green. She was very young when she first started, 16 or so. She was a very beautiful young lady and she had a sort of magnetic appeal, which quite frankly was appealing to everybody, but in a manor of speaking - the talent was behind the producer and the people behind her. They directed her career. When she felt that she wanted to rise above the Disco market and left Prelude to sign with Columbia - her career disappeared. Because again, the talent was in the producers and the writers and so on. She again, was an instrument of their creativity. Today the market is different, most artists are also writers - they write and produce their own music. In those days that wasn't the case, the producers were the artists. The artists were just vehicles. Sad to say, but true." Just as Marvin said above, Musique was an act written and produced by Patrick Adams. The act had some huge Disco hits with "(Push, push) In the bush" and "Keep on jumpin'". This is what Patrick has said about the vocalists of Musique; "Jocelyn Brown and Christine Wiltshire were the two greatest living vocalists to me. Christine had been in Luther Vandross' original group on Cotillion, and she introduced me to Jocelyn. All through my life, Jocelyn has been like a charm for me. Jocelyn had the strength and gospel background, and Christine had the refinement and precision to make for some really slick backgrounds. Together, with whatever third person they brought to the party, it was a gas. Honestly, there was no great strain to making records." One detail that can be fun to know is that Patrick and Musique shot the video for "In the bush" in the legendary New York club - Studio 54. Both "In the bush", which is a hard dance song, and the more European Disco-ish "Keep On jumpin'" generates from the first Musique album. "Keep on jumpin'" was covered twice in 1996-97 and both became worldwide hits. Both for Lisa Marie Experience and Todd Terry presents Martha Wash & Jocelyn Brown. Yes... that's right... Jocelyn was hitting the charts again singing the same song again, just some 18 years later. Martha Wash was one of the girls from Two tons of fun, later known as the Weather Girls. Patrick Adams also wrote another of Prelude's most known hits - the 1979 DISCO stomper "I'm caught up (In a one night love affair)" by Inner Life. This tune he consider as one of his best works as a writer. Again he used Jocelyn Brown as lead vocalist. One of the reasons why he likes it so much is because that record contained some fantastic background, insane string lines and tremendous energy from all involved... It rocked from beginning to end. This song was originally released as a 12"inch single by Greg Carmichael on TCT Records, but within a week of its release a bidding war broke out between Prelude and what was to become Profile Records. Prelude won by bidding $17,500 for the rights to the single. At the time this was an unheard of amount for one single record. One year before, the entire "Keep On Jumpin" LP by Musique had cost only $16,000 to make. Do you remember approximately how many 12" singles Prelude released during the years in business? "Oh, I really can't tell you that. I have to go back into my records and check..."
You have got them all? "I may have them somewhere, but I had to go through old files somewhere buried in the basement. It must have been well over a hundred I guess and it must have been 50 or 60 albums or something of that sort. Well, you know, Prelude is still, in a manor of speaking, distributed by a company in Canada called UniDisc. So, they in fact required the catalog and they would certainly be aware of the number of releases that were put out. So they may have a better idea then I do at the moment." Why were you focusing on 12"? Was it just to get it to the Discotheques - to the DJ's? You also released these double 12" promo albums. That was kind of a new grip I think. I have just seen Prelude release those records I think. Do you remember how many you released of those? "I don't know. This was done because we wanted the DJ's who were playing music to have the finest quality, so in the event we had more music than we were able to put on a 12" record and loose quality. We said, instead of loosing quality, we'll put out another 12" record so that the DJ's could have the quality of the music that they could play in the clubs and obviously as a marketing tool - if it sounded better in the clubs, we had a better chance of selling our music to the ultimate consumer." Which was Prelude's biggest hit? "Ah... Let me see. Well, the D-Train sold an awful lot of records. France Joli sold a lot of records but she also sold a lot more outside of this country and we did not have the rights to our music outside of North and South America. We didn't have the rights to our music in Europe. I would say the biggest sellers were both France Joli and D-Train. On overall basis, in terms of albums." Have you got a personal favorite among the Prelude releases? "Quite frankly, the original D-Train album was something that I really liked. 'Cause it was a fusion of dance music, r'n'b and jazz and I think it was just more in tune with the kind of music I had been involved with prior to Prelude, when I was with Scepter and so on. My whole background was to a large degree black music, and Chess certainly. Only black music on Chess. So, from a personal point of view, the D-Train music was my favorite." What about Francois Kevorkian, is it correct he was the label's A&R man, besides being a remixer for the label? "No, I was the A&R man. Hehe! He did most of the remixing. He was a DJ and to some degree, I can say that, he did, in some instances, influence some of the signings that I made. But for the most part, the acts that were signed, were signed by me. For the most part they were acts and music that were sent to me and based on my own personal tastes - were signed by me. Francois in a couple of instances, I can't remember specifically which ones, but in some instances did refer particular music to us. But the major artists and the major successes and major signings were done by me." Some unforgettable Prelude classics/signings are for example; Unlimited Touch's "I Hear Music In The Streets", the Strikers' "Body Music" [with mix by Francois & DJ legend Larry Levan], "Feed the flame" by Lorraine Johnson [who also was the vocalist on some of the Saturday Night Band's hits] and "Disco Circus" by Martin Circus among many others. Other famous signed acts were Sharon Redd, Gayle Adams, Lemon, Sticky Fingers, Constellation Orchestra, Macho and Theo Vaness. You told me you think you still have a copy of all the Prelude releases. Do you remember which was the last release and about when you closed the company down? "We closed the company down in 19... 85 or 6. Somewhere around that - 1986 perhaps. That was about the time the last release... That's when we closed it down, we sold the catalog to UniDisc in Canada. We had acquired another label which was a Gospel label, a label called Savoy Records and we sold that to another company. And literally closed the company down at that time. The last release might have been "Your Love" by Satin, Silk & Lace." So, when you closed down Prelude - what did you do after? I know you later started a company called MicMac Records in the more freestyle area. "Basically for a year or two I really didn't do anything. Haha. I sort of..."
"Haha! Yes I guess - whatever you wanna call it! And then I attended a music conference in New York and I run into some producers and DJ's who I know from the Prelude days. They played me some music and I listened to it and said; "Oh, this might be interesting. Maybe we should try this." Hehe. I said to myself; "It might be fun to try to go back into the business again." And that's basically it. I got involved with it because I heard some music that I thought also was interesting dance music - but for, as you say, freestyle. And I started MicMac Records." MicMac Records was the largest and leading label of Freestyle music in the late-80s to the early-90s and their most famous artists were Johnny-O and Cynthia. And now you're on Topaz Records?! "Topaz really is my son's label. This is his vision. I basically work with him and advise him and help him in the business area of this business. I have very little to say, if anything, as of the creative process. In other words the music and the direction that the label goes in is really a reflection of my sons creative process. I just send out bills and things like that and help him obviously from a management standpoint." So, if we go back to Disco... Did you like Disco music during the era, or was it just a job to you? "Oh! I didn't like it - I LOVED IT! I absolutely loved it! I loved the music. I spent a good deal of time at clubs, all though not as much obviously as producers, artists, DJ's and so on, but I did absolutely love the music. So this was, aside from the business venture which it certainly was, it was being involved in a style of music that I really loved." Have you got any comments on the Disco era? What did you think about it? So, just like myself, Discoguy, Marvin thinks Disco never died, but in a 1980 Billboard interview he explained his point of view of the so called "death" of Disco; "The problem started with the companies which were late getting into the Disco scene. When they woke up, they cut lots of Disco records and flooded the market." OK! Since my pages are mainly Disco orientated - have you got any favorite Disco songs? Except for your own releases? "HAHAHA! Ah, I guess my all time favorite is "I will survive" - the Gloria Gaynor record. I think that speaks for, not only women, but for people in general who'll overcome diversity and obviously in terms of the music itself aside from the lyrics, I thought it was a fabulous fine respect. And I guess outside of my own, and I'm not saying that I like my own better than some others, but there were a number of records I probably would have loved to have had, but I didn't. But I think that probably is the one that I like most." I guess you would have loved to have released that one on Prelude!? "OH - Absolutely. No question about it!" So, what kind of music do you personally prefer? "Let's see. How can I explain this? It depends upon my moods. I think it's so with everybody. I like classical music, I like the old standards I guess. You know, the old Frank Sinatra and other of that sort. I guess it's the music from the era I grew up in. I pretty much like to listen to that. I'm not involved in the everyday process of listening to music my son will be putting out. I do listen to it, I do like it but when I have to choose music that I wanna listen to when I'm not at work - it's not what I'm listening to." Have you still got any contact with any of your old Disco acts? "NOT AT ALL! None! Zero!" Have you got like some best memory during your years in the business? "Oh - let me see... How does one comment about that?! I think being in the business in general is, for me, a fabulous memory. It's fabulous because it keeps me in touch with young creative people and in a manor of speaking, maybe not physically - but at least mentally, it keeps one alive. It's like you're in touch with what is happening today at the creative level, certainly musically. It allows me to speak to my children or my son or anyone of them. You know, I see him every day and talk to him about things that are obviously very interesting to him - outside of the usual things. I think being involved in the music world in itself is fabulous. It was exciting, it allowed me to travel and it allowed me to do things I wanted to do. To some degree, it allowed me to enjoy life. So, I don't necessarily have one specific memory..."
No, but I think that's a great memory. "I know, and I say, they're just the fact that I have been in this business and have been in for a very long time - is a fun memory. And still ongoing, I'm still involved. Don't ask me why, but I am. No, there was a reason obviously, because of my son and his involvement in music but it is a very very exciting world and I'm trilled to be a part of it." Finally - Mel Cheren opened up WestEnd again, have you had any plans to open up Prelude again? "Well, I don't own Prelude any more. It is owned by this - George Copecellar up in Canada and it's his. I have certain viewpoint in life and that is - I never look back. That was yesterday and I'm more interested in today and tomorrow." OK Marvin, it was really a pleasure to speak to you. "Oh, the same to you. I'm happy to talk to you." OK, Take care and THANKS a lot for your time! to Marvin for participating and making this page possible !! !